A card deck of 78 large size cards printed on 350 gsm card stock with an accompanying A5 book with glossy papercover and 160 pages of info on each card and its themes and background. Packaged in a hand crafted tarot pouch, accompanied by a signed card from the deck and a rosary. 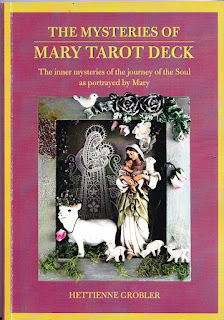 The Mysteries of Mary Tarot Deck is a unique deck of cards and guide book published in Cape Town, South Africa. The Mysteries of Mary Tarot is a mystical vision of the sacred mysteries of the Soul and its unsung feminine path. The Mysteries tells of a sacred marriage of the Bride and the Beloved : a new mythos of the Story of the Child Within and the Gospel of Love. 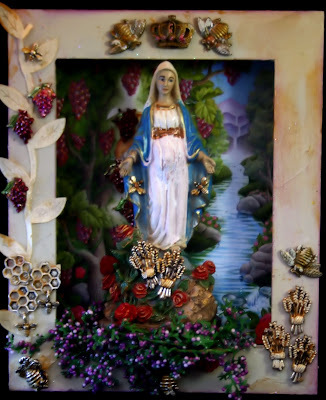 A mystical vision of the religion of the Soul as reflected in the archetypal images of the story of Divine Mary in the Mariamic tradition. 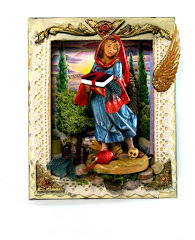 Today we know the Blessed Mary as the Mother of Jesus who plays a small part in the story of Protestant Christianity and who plays an important part in the Roman Catholic tradition. 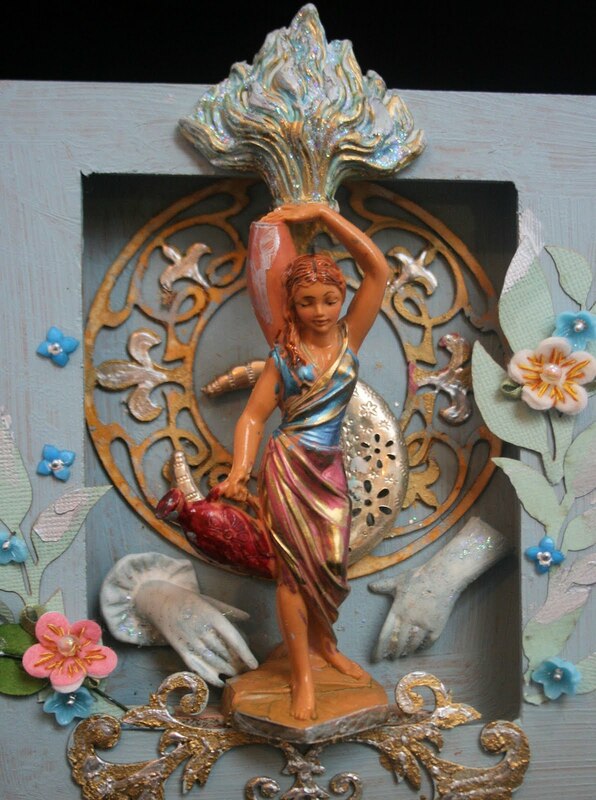 She is lesser known as a goddess in the feminine traditions and very few would connect her with the great Mother goddesses of the past or the Lady Sophia in the Wisdom traditions. But to myself, and others like me, there is a connection, a red thread that connects the dots in the eye of the heart. The ancient divine feminine had been demonised many moons ago and her stories had gone underground. One has to rely on myth, folk tale, oral traditions, fairy tales and subtle clues and especially correspondences, to uncover Her story. 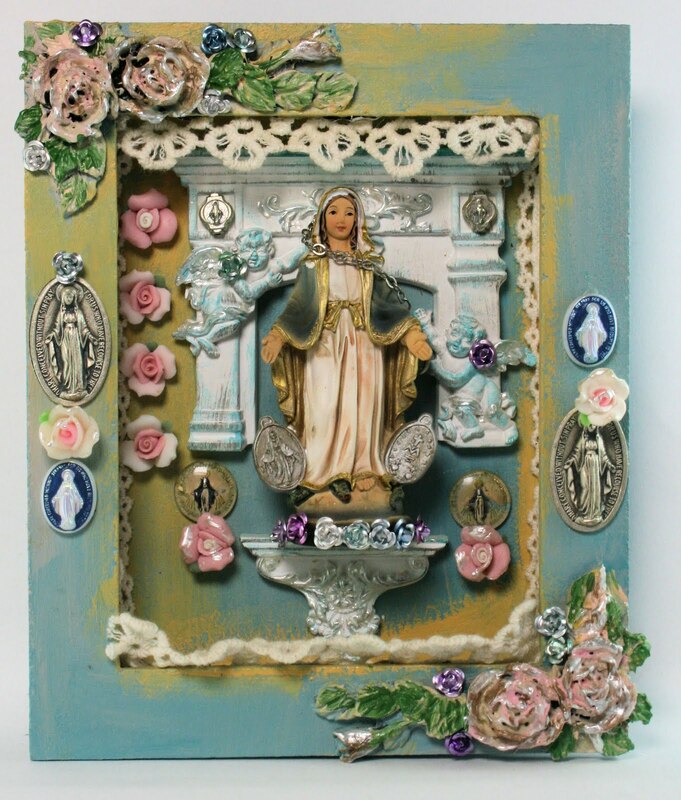 And today Mary is the Sacred Keeper of all Our Lady’s titles and Wisdom. The Mysteries of Mary is a reweaving and a regathering of all these threads of Our Lady’s garment created from red wool and linen. We look in the Bible, in the Koran, the Kabbalah and many other ancient and rediscovered lost books. 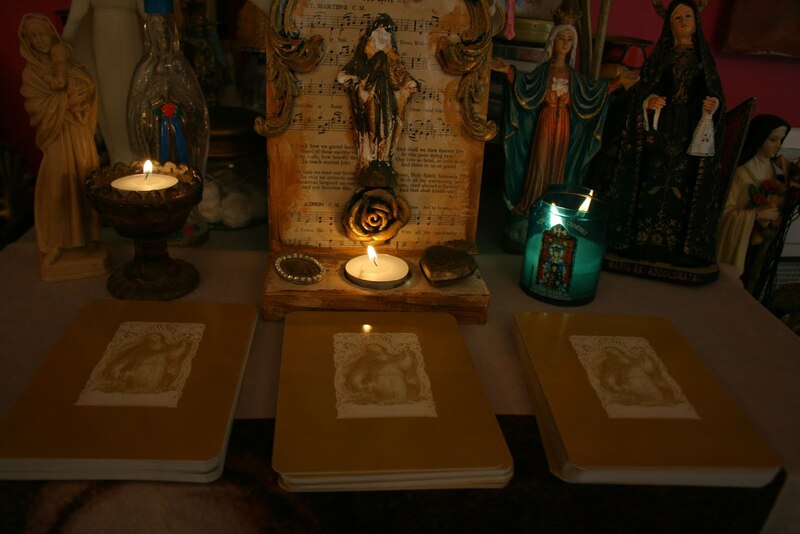 There are also esoteric and apocryphal books that tell the stories of Mary, the feminine counterpart of the Divine Creator in the Western religion and myth and many of these stories have been included to create The Mysteries of Mary deck. In this deck the story starts with Mara, the bitter one. Why is she called Mara? We follow Mara, the holy fool through the stories of Maria Prophetissa, the Jewess and the first woman alchemist, to Sophia, Mary of the Gael onwards till we get to the Woman who stands on the moon with twelve stars around her head. Woven into the tapestry of myth, metaphor and inspiration, are fairytales and in particular, the folktale of The Handless Maiden. And so are the Greek, Roman, Egyptian, pagan and especially the Judaic history which is the precursor to the Christian mysteries. 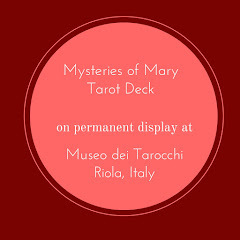 The deck incorporates alchemical principles and as such it is a marriage of opposites, a living hieros gamos which follows the sacred journey of the Holy Fool through the mysteries of Mary. 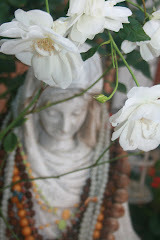 I focus on the mystical (hidden) and inner meanings of the Mysteries of Mary. Historically and politically there are so many theories and ideas – none of them completely provable – thus it remains a Mystery. 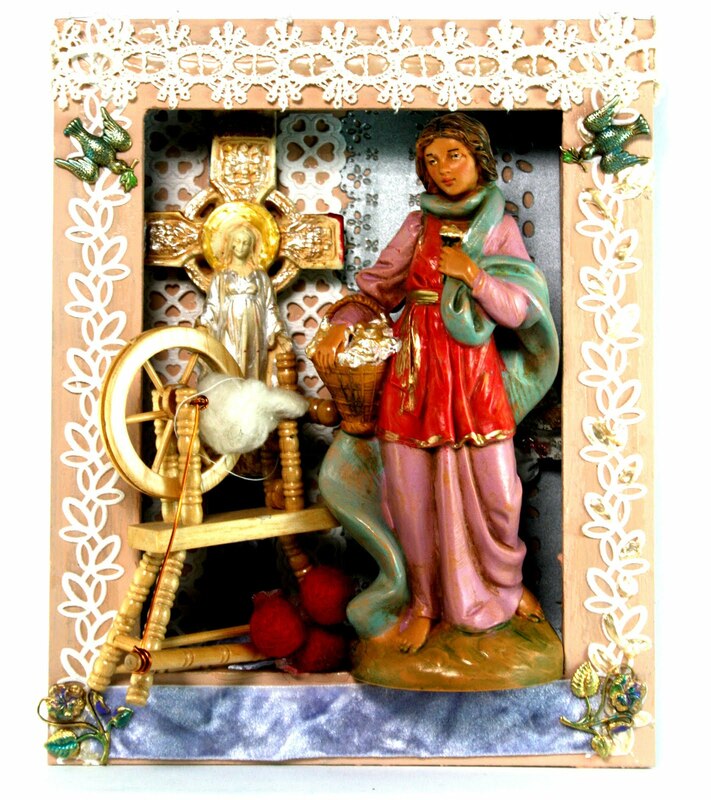 The teachings of Jesus and the Marys, are also open to various interpretations. Many wars have been fought based on differences in interpretation. I am not exploring the religion of the Mystery, but rather the message that I, personally see in this ancient story. The four suits of the deck correspond with the four cycles of Mary's life : Virgin and Priestess as the Suit of Vessels; Beloved and Bride as the Suit of the Holyrood; Mother and Sacred Woman as the Suit of Distaff and Wisdom as Suit of Roses. It is my vision that this deck can be the start of a far greater vision : one that marries the mind and the heart; the feminine and the masculine. It is my hope that you will glimpse the revelation that all religion contains Soul and that the veils of dogma and manipulation obscure the truth. May you look in the mirror of Sophia and see yourself as Love Eternal. - extracted from the Introduction of the accompanying book. printed in a large card format on a good quality card stock. The style and colours used create a rich tapestry of imagery, symbol and colour. The accompanying guide book has a paperback cover.